Like many other parts of the country, central Virginia has had lethally hot weather lately. Friday, the heat index was 117 degrees before noon. On Saturday, the actual temperature was one degree short of breaking a record. The humidity is terrible also – visibility is hazy and the pollution count is high. I give thanks for having air conditioning. Our house is zoned, so we have two air conditioners, neither of which are big enough to keep up with the heat. We’ve kept the daytime temperature at 85 degrees, running fans in the rooms we’re working in. Because the air is running frequently, it’s actually pretty comfortable. After dark, we can put it the temperature down again. The garden is surviving, but not very well. 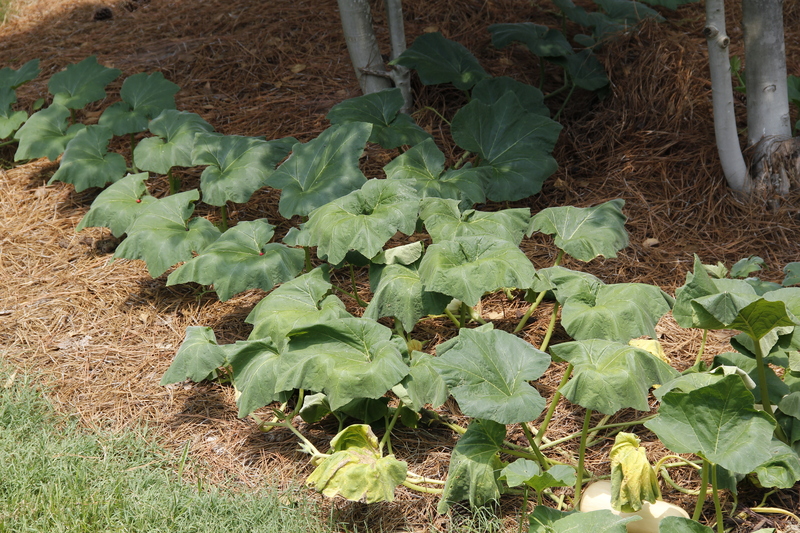 The winter squash is tenting during the middle of the day – i.e., the leaves droop, looking like little teepees. I’d trimmed my spearmint earlier this week, and one section of it has burned out. But the bees are still out (I got more shots today! ), the trumpet vines and crepe myrtles are still blooming, and the neighborhood boys are still skateboarding in the evenings. As for me, I had a lot of energy this weekend, so I did a deep clean on the house. I got a lot done! I washed down kitchen walls and baseboards, cleaned grates, and cleaned behind the bed. My favorite boy toy tightened up the nuts and bolts on the bed frame which was needed. He would like my gentle readers to know that while I cleaned, he was playing with his nuts. Yes, he actually said that. So please laugh. It actually was pretty funny. And try to stay cool! Word for tomorrow – POLISHING. If you prefer to work ahead, see the list for the week under “A Word A Day”. It is less hot where I live but I also give thanks for air conditioning. And I’d be thankful for a husband with such bawdy sense of humor during a heat wave. LOL!!! Extremely witty! ha, ha.